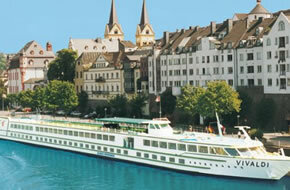 Croisi Europe is a river cruising company that is based in France. They are a family owned company that has been around since 1976. When their ship, African Dream debuts at the end of 2017, their fleet will total nearly 50 vessels. In 2018, they will be debuting African Dream II. Their vessels each carry between 100 and 180 guests. The brand has a mix of European and American passengers, but on many of Croisi Europe’s cruises, their passengers are predominantly French as is their crew. In 2013, the company opened a call center in New York to boost American bookings. They offer itineraries throughout Europe including on the Rhone, Seine, and Saone River. They also offer cruises on the Mekong and Southern Africa when the African Dream starts cruising. Croisi Europe doesn’t contract out its operations divisions to third party companies such as catering and nautical specialists. Everything is done in-house by the 13,500 employees now on the Croisi Europe payroll year-round. To apply for a job with CroisiEurope visit the employment link below.